As I love to be creative, one of my new projects has been YouTube! I started my channel as a way to show you who I was and a way to channel my sadness, into something creative. Over the years, I have made videos here and there and stopped as carrying a huge camera around became impracticable and it made sense for me to use my phone and edit on the go. 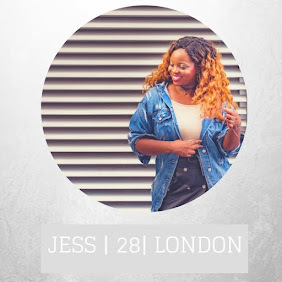 My vlog series the Bloggerprenuer showcases the raw in the moment, moments of my life being a blogger and an entrepreneur. I show how to create this quickly and easily! 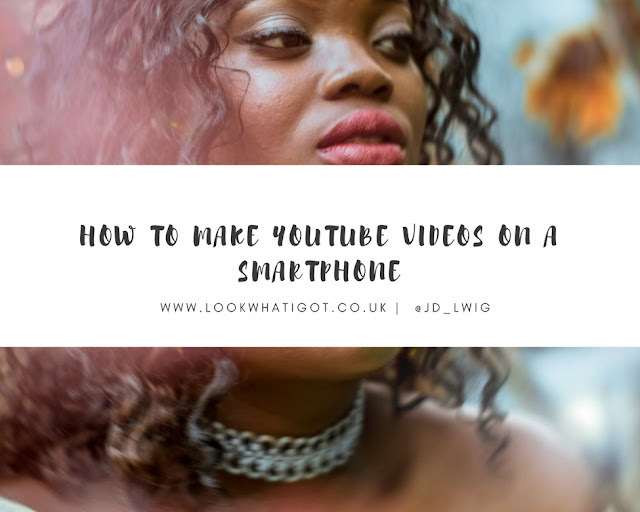 Quite simply, to get started you need a little bit of creativity and your smartphone. All smartphones are pretty good these days, so don't stress too much about which phone you should get. Now I film my videos on two smartphones (My LG G5 and iPhone 6S.. what can I say I am a baller lol!) I also have an iphone Touch which I have captured footage on. They are all pretty good, but Apple's camera for front facing imagery is second to none. This hurts my soul to say this as #teamandroid. Whereever, you film, save all content onto the cloud (Dropbox, Google Drive etc). Even Snapchat, and Instagram videos, save all of it as they will be useful for the next step. You could also use a Smartphone mic, remote etc, if you are taking your videos to the next stage. But even using what you have already, without the frills allows you to create amazing content. Maybe it is the organiser in me, but I always have a mental stroy board of what I am going to show in my vlogs. If you like to write things down, make a quick story board of what your video will include. Highlight, the beginning, middle and end of your video and bullet point the key footage you will include in this, type of music and even graphics. Let me tell you this is a time saver, and saves you from sifting through footage. Also organise your footage into folders, so it is easier to locate and drop them into your video. Once you've successfully created your storyboard. You next create your graphics and thumbnails you want to include in your video. Remember to create thumbnails that are engaging and give a summary of what your video is about. This is something I am learning as a newbie YouTuber, as engagement will be higher. If you aren't a photoshop whizz, you can use Canva.com to create truly breathtaking graphics, in a split second! 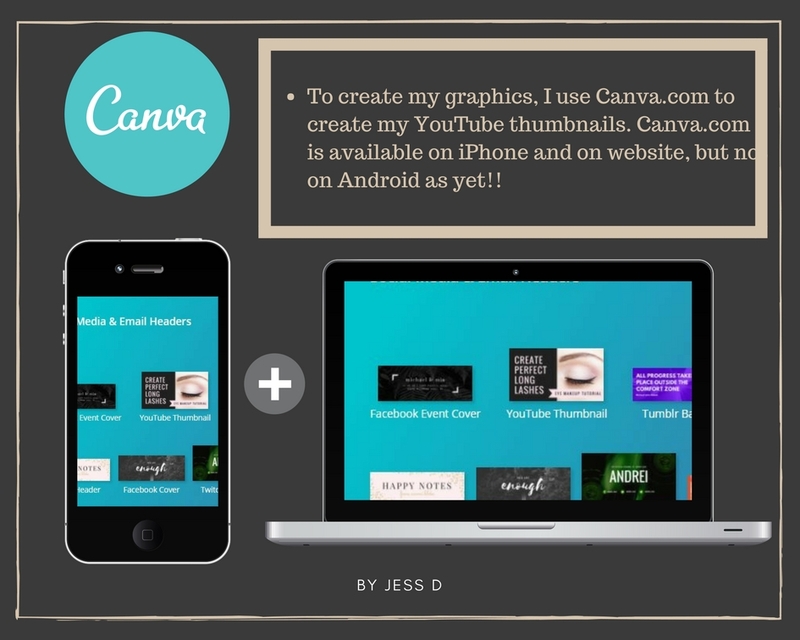 Just an update, Canva is now available on iphone and Android, just go to the Play and Apple Store and create on the go. Since putting out my second vlog, I have moved onto editing my videos using Filmora, for desktop. They also have an App too. However, for total beginners, I used the iMovie app, which comes with most Apple devices. For Android users, I recommend the Filmora App. Assuming you've storyboarded and created your graphics, all you need to do is drag and drop you footage and imagery into the timeline. What I tend to do is add all my footage undedited first, then edit by trimming, cutting and muting if I need to. 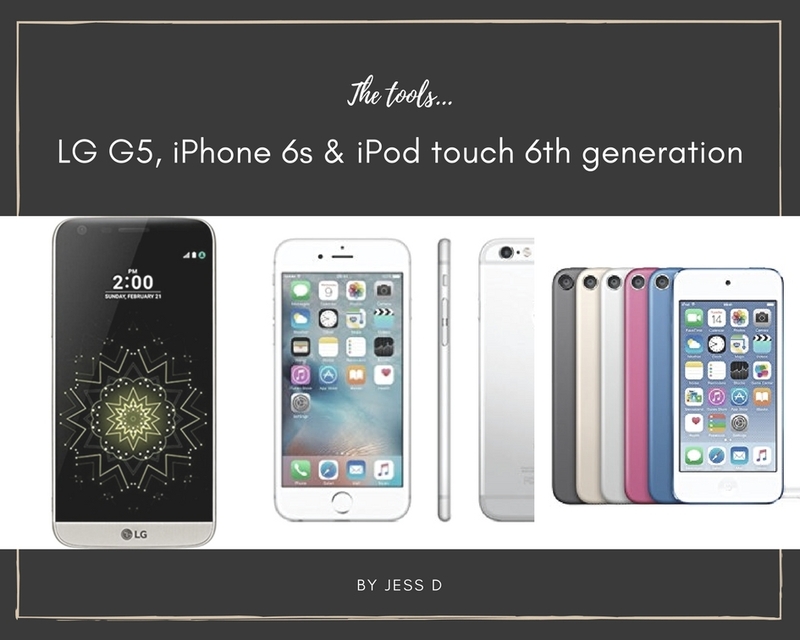 I add music and text last, as they are just finishing touches and not a necessity. If you want a live video of me using iMoie or editing videos on the go, I can do that. Or simply watch Shameless Maya's video, literally a 5 year old can do it.It is so easy! When you have finished your video share it on your social media channels to generate awareness. I would also like, comment and generally engage on videos you like to get engagement on your channel. One thing I have played with is Facebook paid promotion, as the algorithm on Facebook, gets harder to compete without using paid promotion. I just promoted my videos with a max £6 to my target audience using Facebook ads, to increase reach. If you are a blogger, I would highly recommend creating a quick post around your video and embedding it in the post. Then use the URL from the post, to promote on Facebook especially. Facebook, doesn't seem to like YouTube links but Blog links it does. So that is a little tip too! 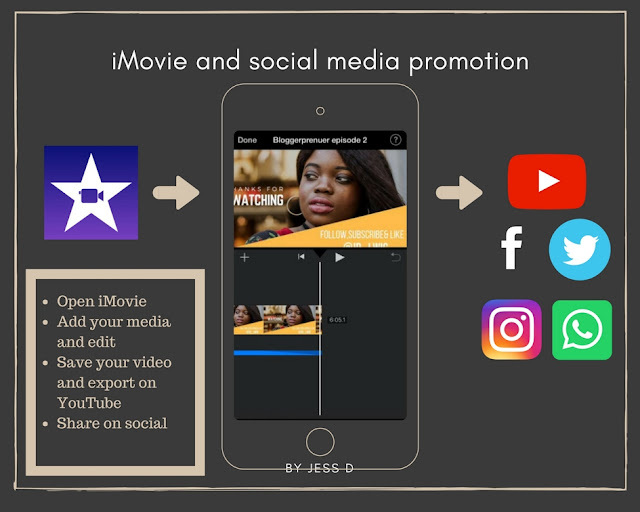 iMovie, is fab and very good for basic andd effective videos. If you're busy like me, a beginner or on a budget use this app. You'll find however, that is basic than your other editors, especially as it is on a Smartphone and this goes for any other film editing app. As you progress, you will find that desktop apps or progress offer more options, but we all have to start somewhere! So there you go, a comprehensive guide to creating a video, not just for YouTube but in general. Let me know your thoughts in the comments below. Do you like posting something on Instagram? I do it every day and I want people to hear my voice. But it was difficult to get many views and comments before. I tried this service where you can buy Instagram likes . Now many people really interested in what I post.